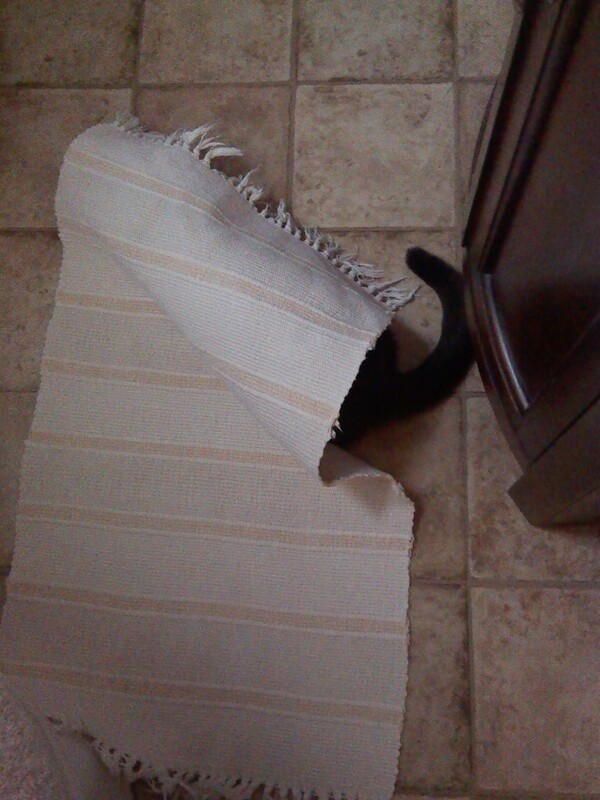 Put down a different rug, and it’s a source of cat fun and needs to be explored. Or laid under. They keep us smiling and also young(er) with their interesting personalities. I can’t imagine life without them either, Jackie. It’s always a surprise what they might do next. And purring is one of the best sounds you can hear. Have a good weekend, with more purring! Sorry for all the mess ups. I hope you have a good weekend too! It’s no problem. It’s all good. One never knows what they might do next, Marc-Andre. Thanks. You can’t always get the camera in time when they do something cute.